The Microsoft LifeCam VX-5500 is all about staying connected and having fun. 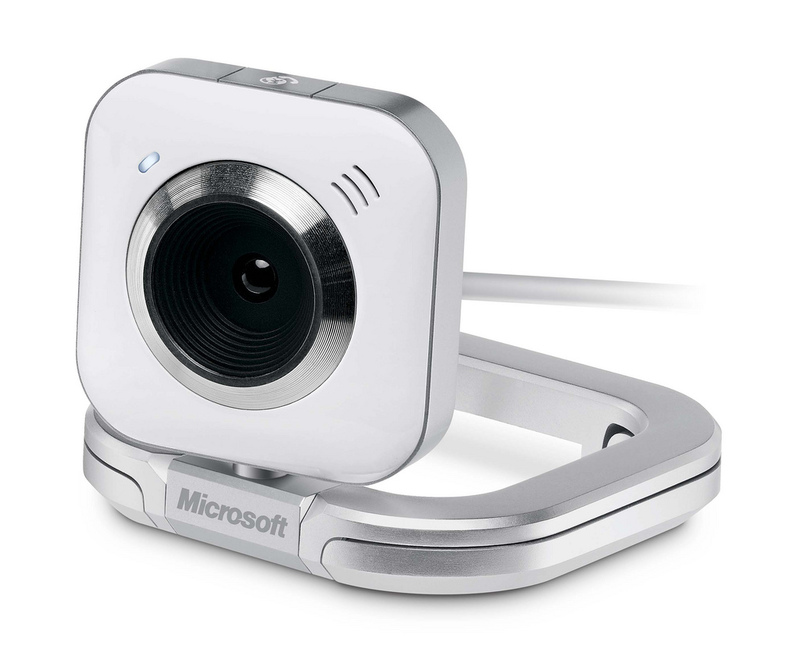 The webcam ships with three interchangeable faceplates in blue, white and red, allowing a user to pick his or her favorite color and leave it forever, or switch out the color as he or she sees fit. The VX-5500 is designed for use on both desktops and laptops with an innovative universal attachment clip, and folds flat for easy transport when users are on the go. The LifeCam VX-5500 also provides a crystal-clear video and audio experience with a VGA sensor for 640x480 video and 1.3-megapixel (MP) stills and a unidirectional, noise-canceling microphone. Interchangeable faceplates in blue, white and red let users switch out the plate to reflect their favorite color or mood. Video Effects allow users to personalize video calls with fun visual elements. 3D Accessories add effects that move with users’ faces, allowing them to add sunglasses or a cowboy hat and move from side to side while still retaining the effect. With Facial Exaggerations, users can shrink their nose or enlarge their eyes. Video Messages is the perfect solution if friends and family aren’t around for a live video chat. LifeCam users can record and send videos through an exclusive Windows Vista gadget, and any Windows Live user can get in on the fun via an online portal. World-class VGA optics with a VGA sensor, 640x480 video resolution and 1.3MP still photography (interpolated) offer high picture quality. Built-in unidirectional microphone with acoustic noise cancellation delivers crystal-clear audio. One-touch Photo Swap access allows users to share and swap photos from their PC during a video call — and see and hear the reactions of friends and family. Windows Live Call Button, located on top of the LifeCam, allows a user to open his or her Contact Picker (a tool showing which contacts are currently online) with one touch, so he or she can quickly initiate video calls to friends and family. LifeCam Dashboard incorporates full LifeCam navigational controls (pan, tilt, zoom, face tracking and Video Effects) within the Windows Live Messenger interface, enabling a seamless and easy navigating experience. The LifeCam software controls are where they should be — right in front of the user. Pan, tilt and 3X digital zoom features allow users to adjust the lens to see more clearly.